This presentation considers the history of race and ethnicity in South Africa as well as the politics of non-racialism as a politics of knowledge rather than a condition of racelessness. It is a study of how fixities of race and tribe were made out of multiple colonialisms and apartheid in South Africa, notwithstanding social fluidity and hybridity. 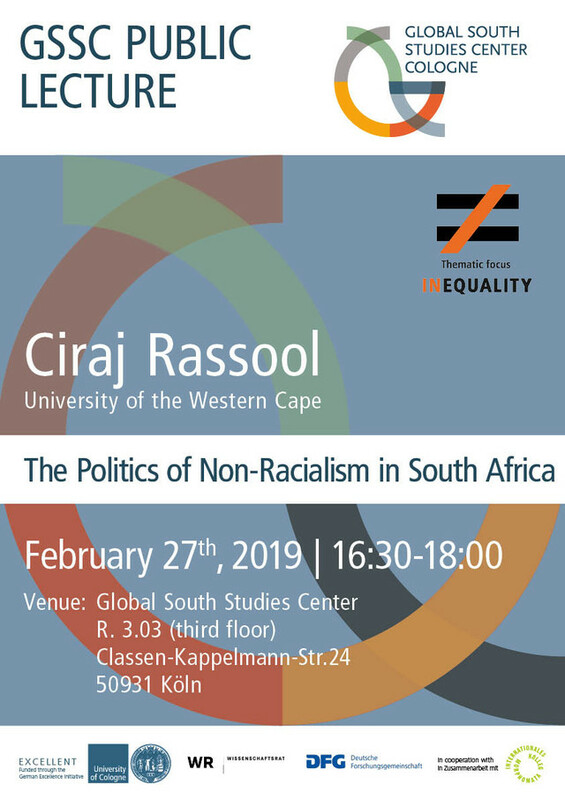 It also examines how modes of racial and ethnic governance were contested, especially through the politics of non-racialism, which was not a politics of racelessness, but rather an attentiveness to the constructedness of race. Nevertheless, some approaches to non-racialism were framed as forms of racial alliance, which tended to reproduce the racial categories of apartheid. While non-racialism (like postracialism in the US) was seemingly co-opted after the end of apartheid as a means of retaining privilege, this paper argues that it is necessary to revisit varied understandings and debates inside the liberation movement on race and non-racialism in order to counteract this co-option and as a commitment to a non-racialism not as state of being, but as politics of knowledge.